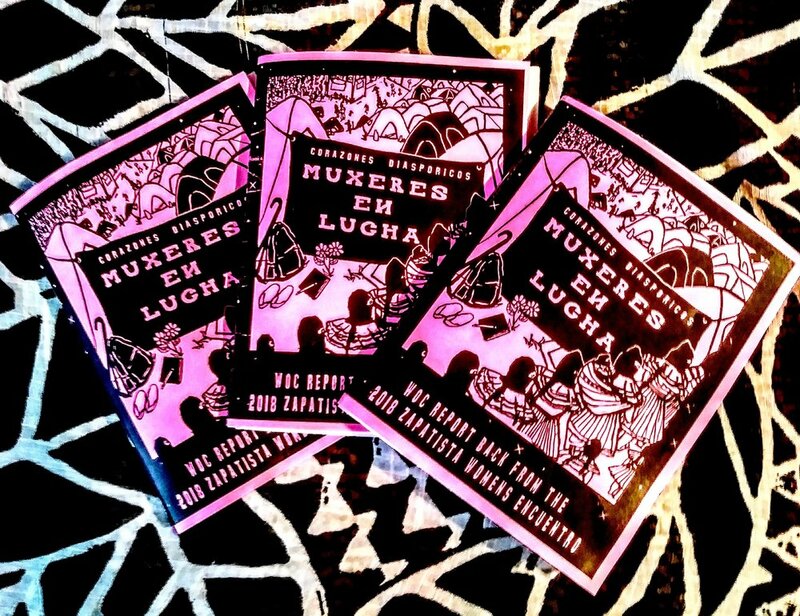 Muxeres En Lucha Zine is out! Corazones Diasporicos Muxeres En Lucha : WOC collective report back from the 2018 Zapatista Womens Encountro is officially out! So honored to have been a part of this journey and the amazing process of creating this collective report back with 5 other muxeres. This fat lil zine includes the Zapatista Women's opening and closing statements, our WOC narrative experience navigating queerness, disability, class consumption, grief, rage and joy, international travel, workshop summaries, original art and photographs. print copies available for order here. Free pdfs coming soon!